1600 Glenarm Place is a 384 ft (117m) tall skyscraper in Denver, Colorado. 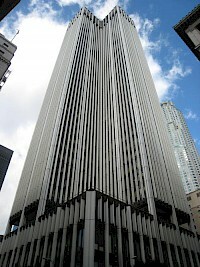 Completed in 1967 as the Security Life Building, is has 32 floors. 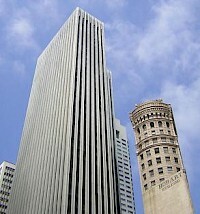 It was converted from office to residential use in 2006, and has 330 units. It is the 21st tallest building in Denver. 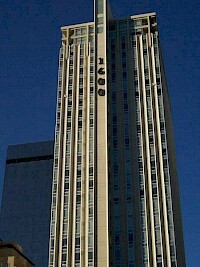 611 Place is a 620 ft(189 m) skyscraper in downtown Los Angeles, California, United States, located at 611 West 6th Street. 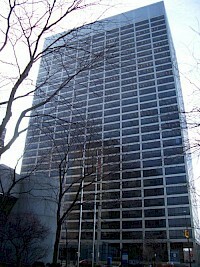 611 Place was designed by William L. Pereira & Associates and completed in 1967. The building was commissioned by the now-defunct Crocker Citizen's Bank, and served as its headquarters for many years before being bought by AT&T. 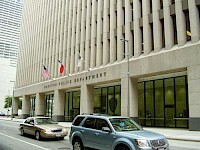 The Anthony J. Celebrezze Federal Building (also known as the Federal Office Building, the Celebrezze Building, or the Federal Building for short) is a skyscraper located in downtown Cleveland, Ohio. 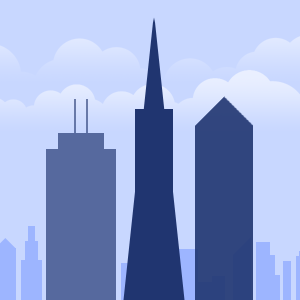 Designed by the firms of Outcault, Guenther, Rode & Bonebrake, Schafer, Flynn & Van Dijk, and Dalton, Dalton, Little, and Newport, the building has 32 stories, rises to a height of 419 feet (128 m), 1,007,000 square feet (93,600 m) of space,and is located at 1240 East 9th Street. Bank of America Center is one of the major distinctive and recognizable features of Downtown Norfolk, Virginia, United States. 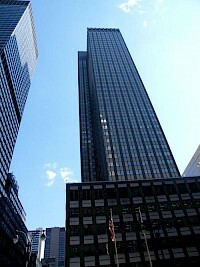 The tower is named for Bank of America.